100 statues represent 50 states in the U.S. Capitol, two provided by each state. One of Virginia's is Robert E. Lee. 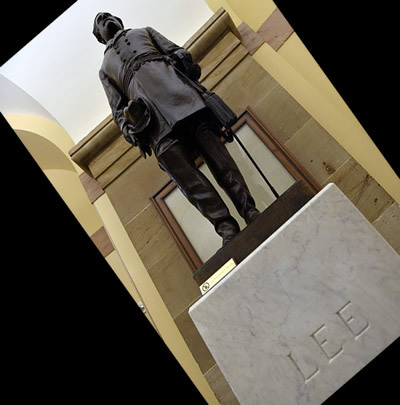 We implore you to immediately remove the statue of Robert E. Lee from the U.S. Capitol, and to permit local governments in Virginia to take down statues as they see fit. 14851 1 year ago Christian & Lea Andrade Friday Harbor, WA , US Times have changed and the statues that represent white supremacy need to be removed. And that includes our Nation's Capitol.